Well there can’t be too much confidence in the US / New York Market if it took 4 months to sell and at 22% below the value they expected! It’s still good money for an approx. 1071 sq ft property. That’s nearly $2000 per square foot (£1200 sq.ft.) they got from the $2500 sq.ft. it was valued at! Then again, with a rental of $10,000 per month, the new owner is not exactly looking for cashflow either! So that’s at least one person with cash who is confident that the real estate / property prices will go up giving them capital growth. “A home less than ten feet wide, which has been dubbed New York City’s skinniest house, has sold for $2.1 million (£1.3million). The red, 9.5 foot wide, 42 foot long brick building in Manhattan’s fashionable Greenwich Village neighbourhood was built in 1873. Located at number 75½ Bedford Street, it was built on land which previously had been an alleyway between numbers 75 and 77. The interior, unsurprisingly as the house isn’t a TARDIS, is even smaller, measuring just 8.5 feet wide. The two bedroom, two bathroom home, which went on the market priced at $2.7 million in August last year, was last sold in 2000 for $1.6 million. 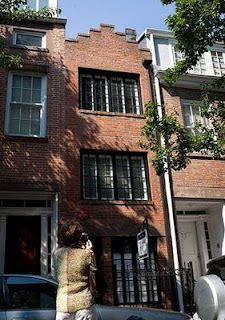 The narrow home has had some famous residents in the past – a plaque on it notes that poet Edna St. Vincent Millay once lived there; so did anthropologist Margaret Mead. I attended Simon Zutshi’s BMV Quickstart workshop earlier this month in London and it was a great event to learn more and meet fellow investors. When asked what I was doing there as someone who has been in the property business since 2001, I explained that I am always learning and picking up fresh tips. It’s also good to refresh your knowledge. In an economy where a lot of investors have ended up jumping in the deep end and are now struggling to swim, it is good to get back to basics and learn how to do and use the simple and basic techniques (with some new No Money Down thrown in as well). Simon covers ethics which is sometimes missed by many investors, why you need to listen to people and then offer them solutions, ie. how to help the person. You will get introduced to his power team including solicitors, mortgage brokers and people that provide bridging. The BMV Quickstart literally does what it says on the tin: it gets you ready to start doing below market value deals the following day. You will know the people to put the deal together and learn strategies to get out there and find the deals straight away. It would have been really useful to have done something like this when I first started as it would have saved me a lot of money making mistakes and learning by myself. This isn’t some high-level overview we’re talking about here. We immediately get into the meat of the strategies; within the first hour I introduce you to your own personal Power Team which is CRUCIAL to your success with this type of investing, and by the end of the day your head will be spinning with new ideas and strategies that you can immediately begin implementing. What will we cover during the day? * How to minimise the amount of work you need to put in by taking advantage of “armchair investment” opportunities. Savvy investors never pay the full market price for their investments. Right now, due to the current market conditions, we have the biggest ever opportunity in our lifetimes to purchase property BMV. There are plenty of deals out there and when you find the right deals it is still possible to buy with very little of your own money invested. Already an investor and/or do you want to join a Property Mastermind? 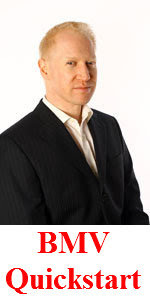 Simon Zutshi is about to launch details of the home study version of his very popular Property Mastermind Programme. To find out how this programme can help you to achieve everything you want from your property investing you need to join the “PROPERTY ANNOUNCEMENT LIST”. It is well worth joining as you could be the lucky person who wins a place on the Property Mastermind Home Study course in Simon’s free prize draw. Good luck! The Property Mastermind Home Study Course runs along side the main Mastermind Programme, which means that this is the only chance to join at the beginning. Attend property networking events around the UK to learn more, meet other investors and get your questions answered. Check out ours at the Northern Property Network in Huddersfield, with Rob Moore of Progressive Property presenting on Tuesday 5th May 2009. And in Bristol organisers Benjamin Leppier & Barry Davies host the South West Property Network, with Rhett Lewis presenting on the same date.